The best Bird & Squirrel yet!!! My favorite Bird & Squirrel yet!! I love this series! Super cute and hilarious. Lots of laugh out loud moments. The kids at school will be fighting each other to get to this one. My seven year old son and I love this series! We read one together almost every night. It's hard to choose a favorite but I think it's a toss up between #4 and#5. The only complaint about All Tangled Up is that it is shorter than On Fire. My son hoped they would keep getting longer. But we really did enjoy it anyway. 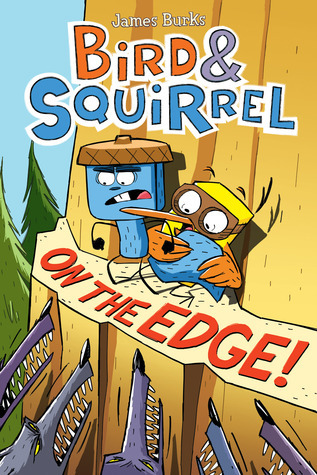 This story was great in exploring Squirrel's and Birdie's father/daughter relationship. Funny and adorable. This series is the best! Our copy arrived today and my 9 year old is in hysterics reading it. I’m laughing while I type as I listen to him excitedly tell his dad all about it. I highly recommend this series, the whole family loves it! Another hilarious installment in this series. My boys and I love it! I may love bird and squirrel even more than my kids. Always a nice reminder to have balance with worries. 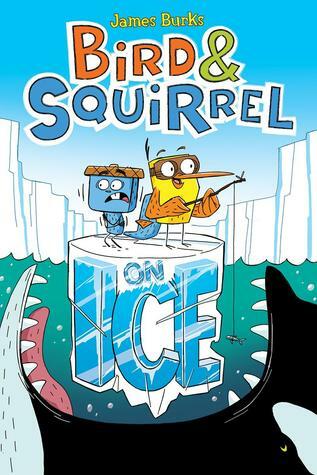 I had no clue there was another Bird and Squirrel adventure! This one features all our favorite pals, especially Bird and the little squirrel Birdie. Bird convinces everyone to help him look for Bigfoot (or should I say Bigfeet?). It was cute, but not my favorite in the series. 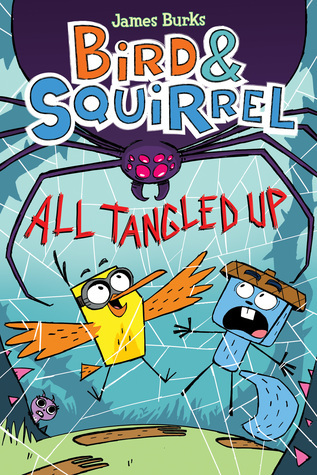 Bird & Squirrel is such a fantastically playful series, and All Tangled Up might be my favourite series entry. 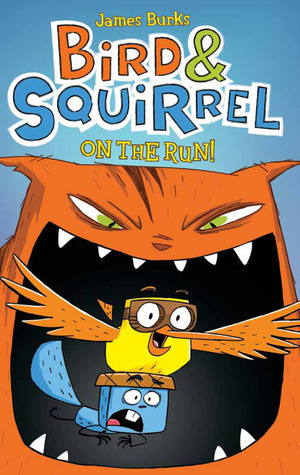 The addition of 'Birdie the Brave' (adorable and bubbly daughter of Squirrel and Red) is super and there are clearly lots of fun stories left to tell in this series. I enjoyed these so much I read the first five volumes (all there are so far) in a row. Excellent "buddy" humor and surprising character growth over the course of the series--it's not just the same jokes repeated endlessly. I'm getting ready to start them with my kids. What a treat! Squirrel as a Dad is as neurotic as you’d imagine, but just as loving, too! Bird makes the perfect (FUN) uncle! 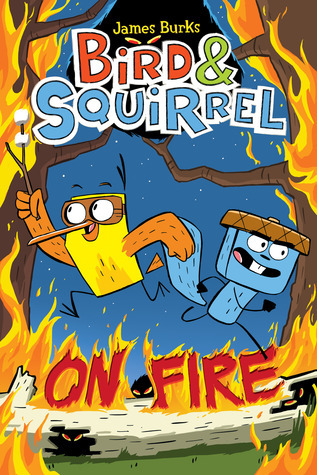 Graphic NovelThis time Bird and Squirrel have an adventure involving Squirrel's child too. She wants to be adventurous like Bird but Squirrel sets limits. Birdie learns how much braver her dad is that Bird and figures out that limits aren't always a bad thing.Elementary readers will enjoy the adventures and simple to follow text. A very quick read . Long story short: it is about squirrel being the parent and squirrel being the indulgent uncle. Very similar in plot to The Bigfoot Files with a very different execution.